To check on the health of the giant Pacific octopus population in Washington's Puget Sound, an unusual census takes place every year. Volunteer divers are enlisted by the Seattle Aquarium. They take to inland waters to look for their eight-tentacle neighbors. Weighing as much as 150 pounds with tentacles that can span up to 20 feet, the giant Pacific octopus lives up to its name. It's the biggest octopus in the world. It calls the waters off Seattle home, though this is only part of its vast range over the Pacific Ocean. "The Puget Sound offers good habitat, water temperature and an abundant food source for them," said Kathryn Kegel. She is a Seattle Aquarium biologist. The giant Pacific octopus is known as one of the smartest creatures in the sea. It lives between three and five years. They are terminal maters. That means once they mate, they die soon after. From the waters off Seattle to the maritime border with Canada, 27 divers looked for the giant Pacific octopus, or G.P.O. as it's called. They dove at 11 sites around Puget Sound last month. The aquarium asked the divers to count how many octopuses they saw. The divers noted the depth of their finding and the type of hiding spot. This year, the census counted 28 octopuses. Divers found 17 last year. 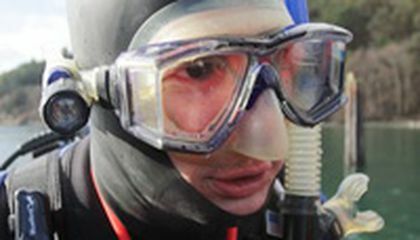 Puget Sound hosts a healthy scuba diving community. The giant Pacific octopus is one of the main attractions, even though the water is cold and dark. I read about how these octopus are one of the smartest creatures in the sea. These octopus' tentacles are about 20 feet long in length. Divers in Seattle have dove at around 11 sites and once they counted at one site 17 octopus, even there were more they probably didn't see them. I think that that this is good for people to know...Especially people that have interest in species and creature life that aren't really brought out enough to be considered a main topic. As read in the article you see that there aren't a lot of octopuses out in the Pacific but there are some. We should certainly keep our eyes open for these creatures since there are few. I hope that the octopuses would stay a while longer and continue their generations so that the human race generation could see what wonderful creatures they are. I love octopus, they are very cool and smart. Every year I go to Cancun to snorkel and last year I saw an octopus hiding in the rocks and it was changing colors as my dad and I watched it. I can not believe that the giant pacific octopus can weigh 150 pound and can have 20 foot long tentacles. 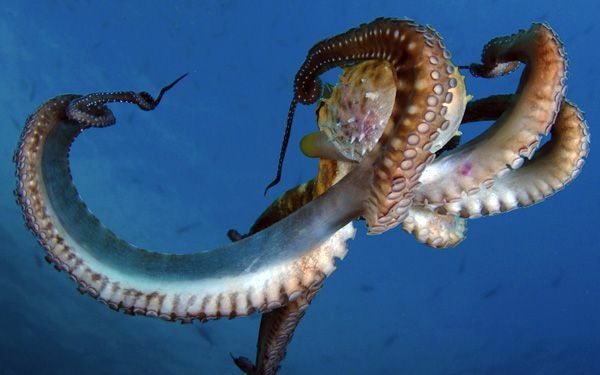 I am glad the divers are checking the health of these octopuses because they keep the fish and coruscation population down, if we did not have octopuses in this world fish and coruscation's would destroy the ocean. Octopuses are very stinky and smart. They smell like a fish. They can be 150 lbs, and 20 ft. Divers found 17 last year. This year they found 28. Octopuses are very interesting and, I hope to lean more about them in the future. This article is about counting octupi. They can weigh up to 150 pounds, and can be up to 20 feet long. 17 were counted last year and 28 were counted this year. I think this is interesting that people would volenteer just to count octupi. I've never really known much about octopuses and I've only ever seen them in aquariums. I always wanted to see one up close and I hope to one day. That must be pretty sc sarey to do that! Ive sen dolphins kin front of mt facer and it scared the crap out of me. I dont know how people do thios kind of thing all the time. ive never seen an octopus well kind of on a picture and a babby one. That is pretty cool. I dont mond octopus but they are something that i never want to go near in my lifetime. I dont want to get ink all over me. They are really fasinating to learn about but stinky. I think that this article was a great idea to write about. Its good to get people in the mind of an octopus.